One series. Multitude of capabilities. 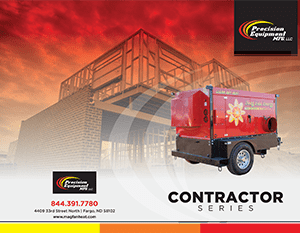 Designed for unmatched versatility, our Contractor Series’ flameless heaters are masters of many. 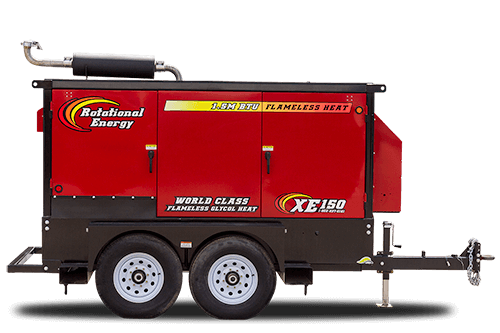 Whether you are increasing a winter construction site’s productivity and morale, eliminating pests without the use of toxic chemicals, or expediting storm restoration, our D3500 and XE150 heaters are the industry’s most durable, efficient, and reliable solution. 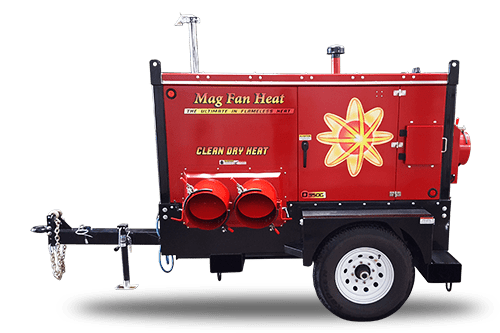 The Magfan D3500 uses magnetic heat to generate high volumes of humidity-free, low emissions heat for almost any large area. This economical heating solution quickly produces a tremendous amount of fast dry heat, without the use of spark, friction or flame. A safer alternative to an incineration device attached to a boiler, this flameless heater's efficiency rating is over 90 percent in many environments and weather conditions. This high efficiency lowers the cost per BTU, resulting in an overall reduced cost of operation. so even in the roughest, toughest weather conditions this user-friendly series is ready to deliver the heat.